How could digital experimentation help you increase your business’ profits exponentially? The power of enterprise-wide experimentation programs allows organizations to develop rapid-fire improvements and turn incremental improvements into outstanding profits. In this Harvard Business Review, discover how enterprise-wide experimentation has led to the success of billion-dollar companies such as Amazon, Facebook, Netflix, and Microsoft. 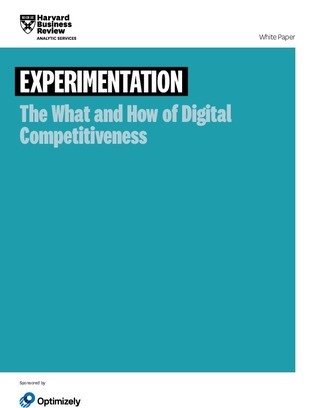 But experimentation is not just for the big boys – anyone can join in with the right strategy. Read below and see what these billion-dollar businesses have in common, and how you could join them at the top.